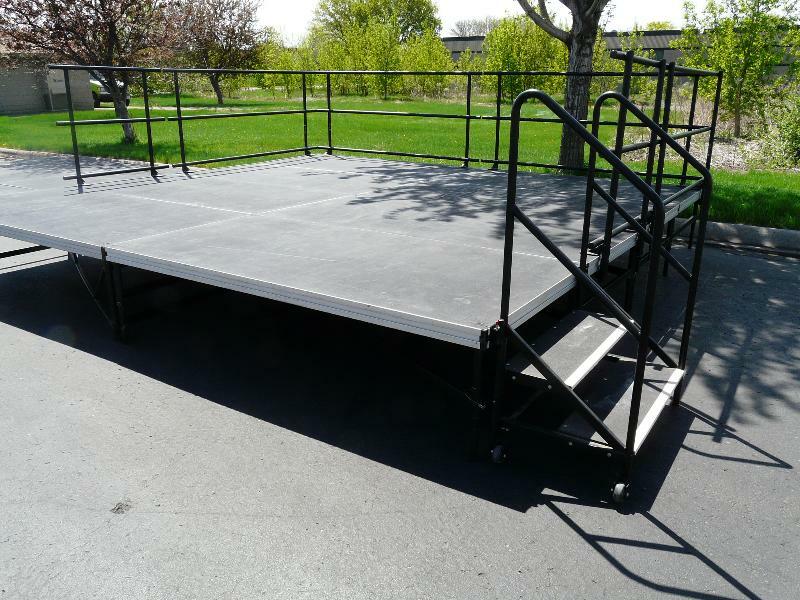 This is a fully assembled 16 X 16 stage with 2 stair unit and railings. 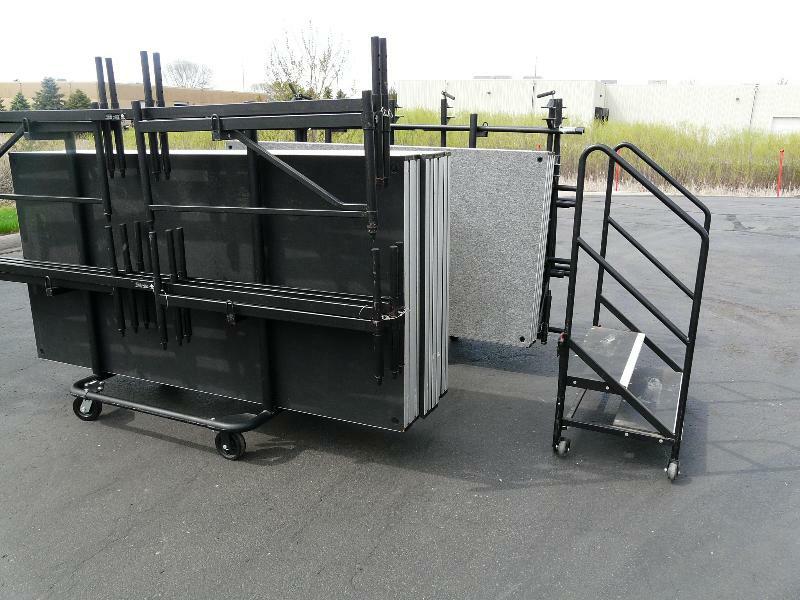 This is the stage right panels broken down on their storage carts. Stage Right quick assembly Z brackets are adjustable from 16″ to 24″ and will easily handle rough outdoor terrain. Another view of the stage deck panes on the storage and transport carts. Here we have a larger installation of the stage right decking. 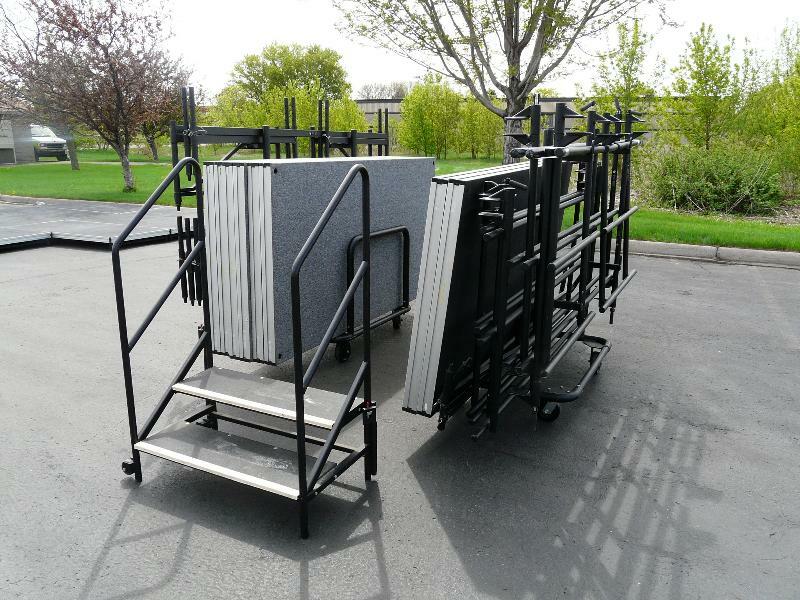 In this instance we have a full 24′ X 32′ X 30″ stage with 2 staircases and fully skirted. Last winter we added some new staging to our inventory. It was a huge success. We have been doing a number of the smaller jobs that the big staging companies turn up their nose at. We have added new inventory due to the popularity. 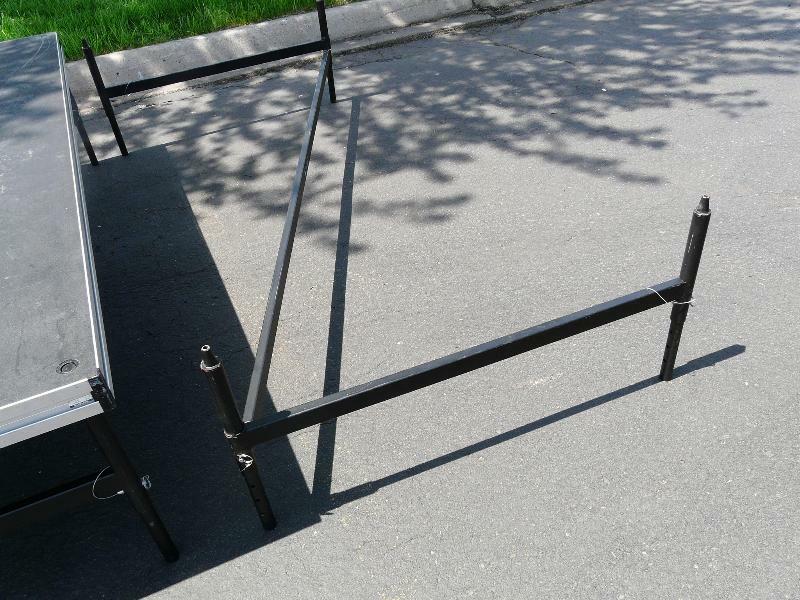 Small jobs with railings up to bigger setups are now easy and within reach. 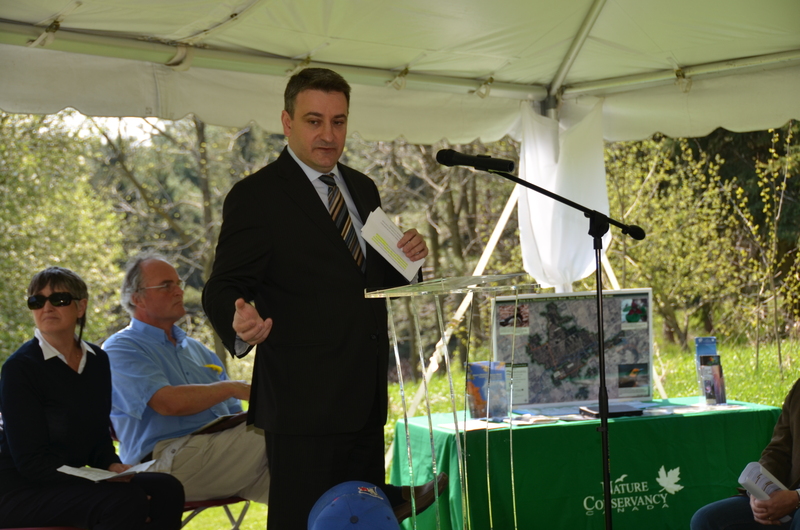 Here are a few photos including the recent press conference we did. This uses a small stage, our Ghost Acrylic Lectern (Podium) and our wireless microphone and PA system. Of course we did the tent for this event also. 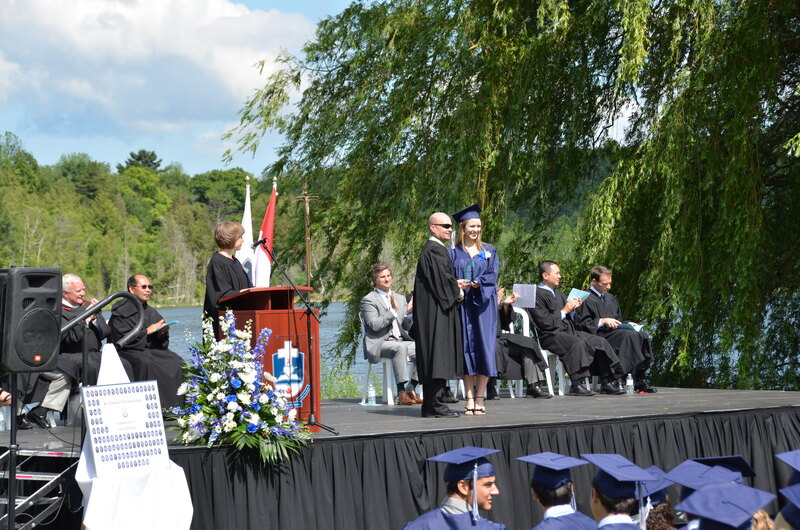 Last years commencement ceremony for Villanova College is the other event photo. We have been doing this event for several years now and of course we will be doing again this year. For Villanova College we supply two stages. One is the main stage with a staircase on both sides and seating areas for the guest speakers. The second stage is for the college orchestra. ASAP Tent and Party Rentals also supplies 750 bistro chairs and a 40 X 100 tent for the catered refreshments after the graduation ceremony. This kind of installation is down by the lake on uneven soft ground. The installation requires 3 large 5 ton trucks. It can be said that we are the fly by night tent company. Just a few hours after the ceremony there is no trace. ASAP also picks up the leftover garbage and water bottles. This entry was posted in Party Rentals and tagged party rentals, stage deck rentals. Bookmark the permalink.